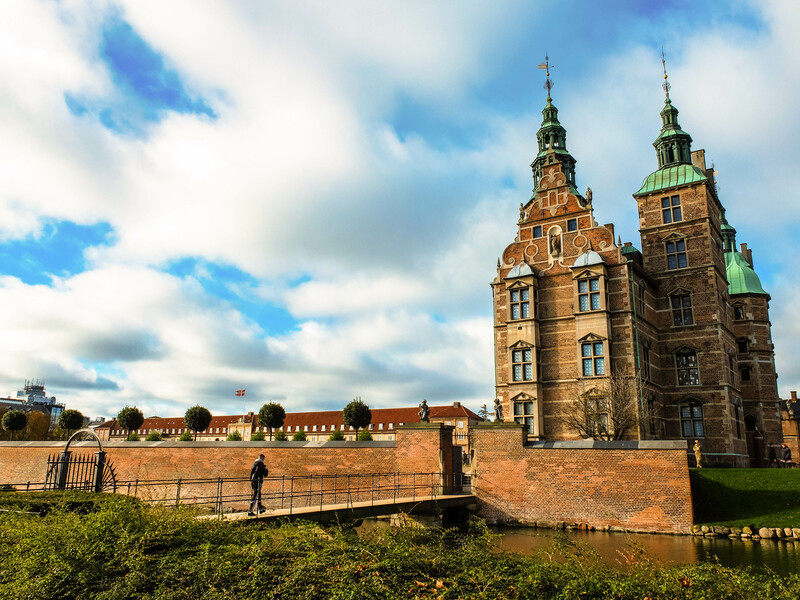 In and out of the city of Copenhagen are magnificent castles, palaces and estates that make the term majestic appropriate when describing the city. 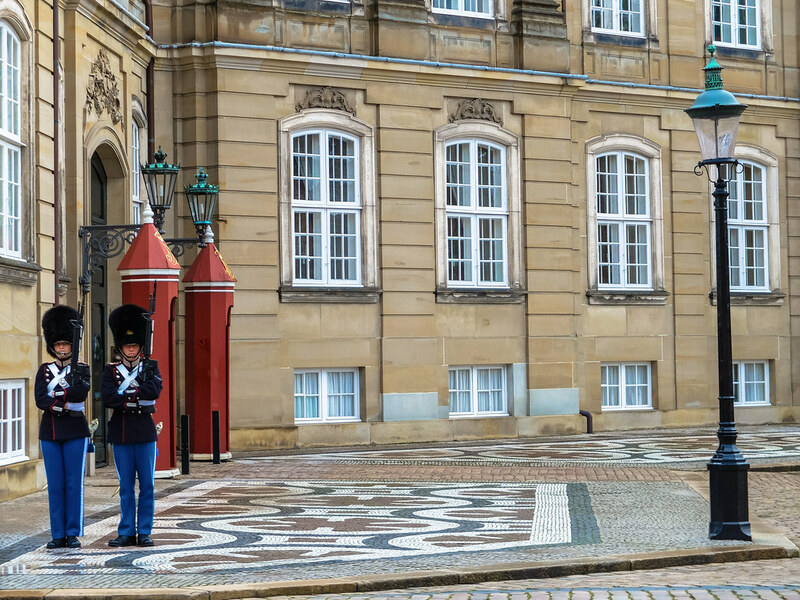 Considered as the world’s oldest monarchy, the royal residences of the past and present queens and kings are sights to behold, particularly for non-European resident like me, who often the closest to a castle we associate in real life is the one in Disneyland. 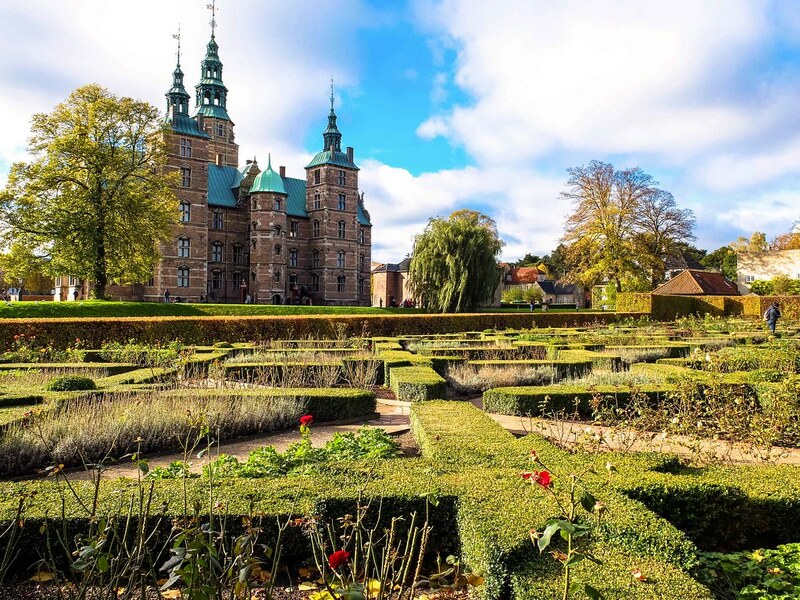 Even when you are on your way to admire the exhibit at the National Museum or explore the harbor area to look for the Little Mermaid, chances are you will end up entering a vast landscaped estate with a “slot”(castle in Danish) in the middle. 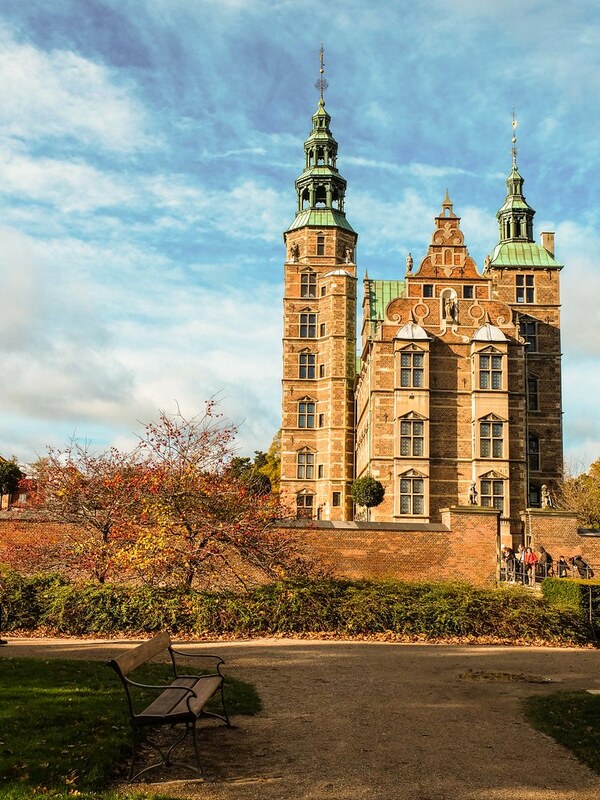 Apart from the overall exterior view of the towering spires and the charming Gothic facade that perfectly blends with the surrounding ponds and parks, the castles of Copenhagen are equally fascinating inside. 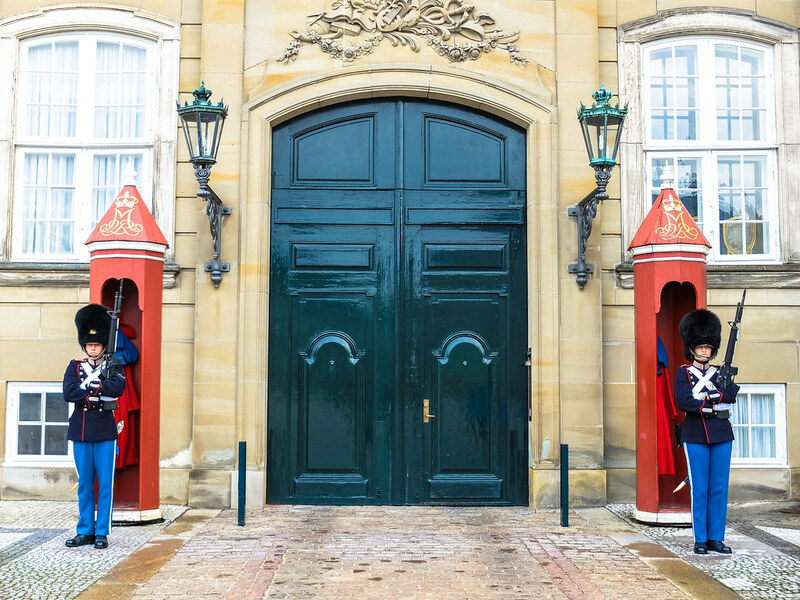 The interiors are well-preserved and converted into museums where visitors can see the lives of its former royal inhabitants and see up close the crown jewels of the Danish monarchy. 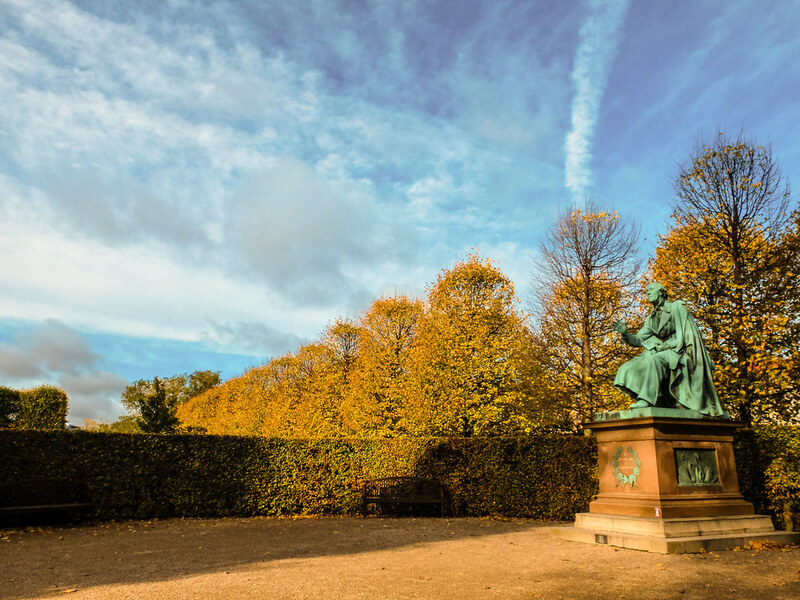 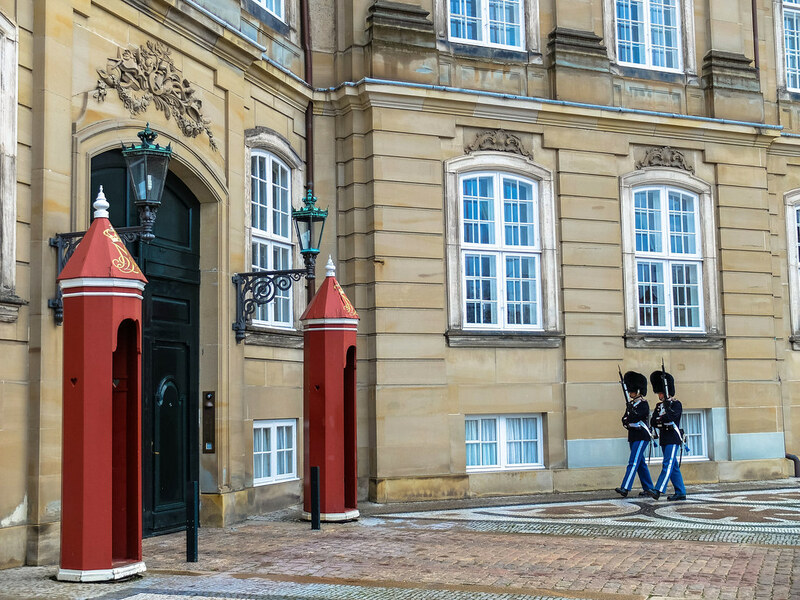 Located within an easy walking distance from other places of interests, these castles are easy to find and explore, which means even if you have only a few days in Copenhagen, you will still have enough time to glimpse the life of a Danish royalty and perhaps understand its implication and significance to the country’s history. 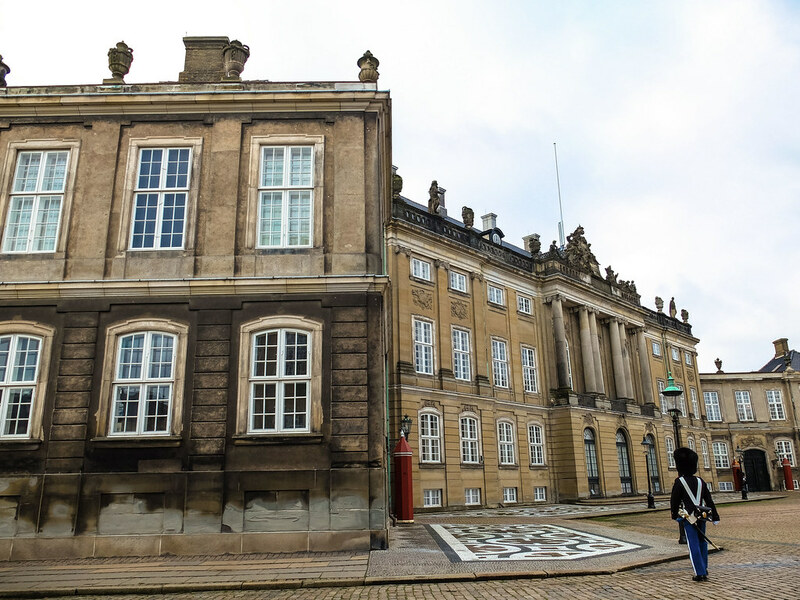 The first castle I visited is Amalienborg Palace, an accidental discovery while I was walking around the harbor area. 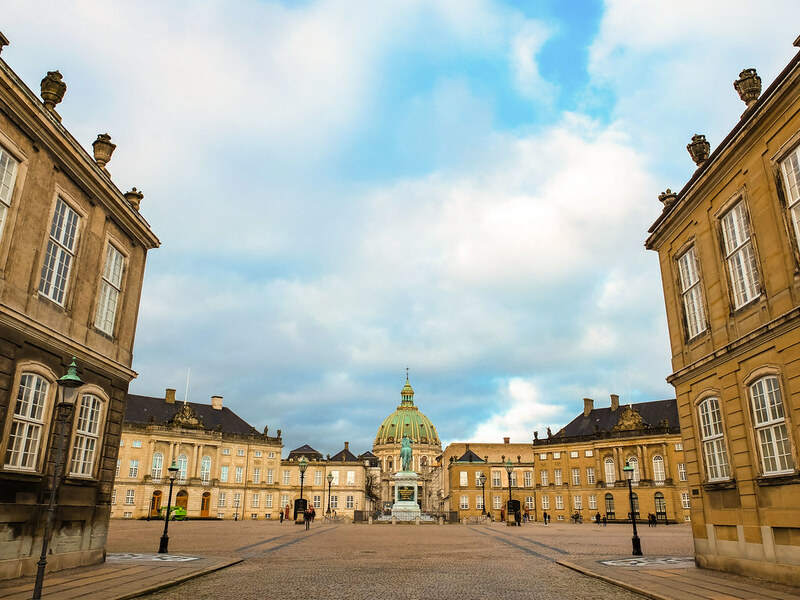 Amalienborg Palace, the current residence of the Royal family is an interesting place to see. 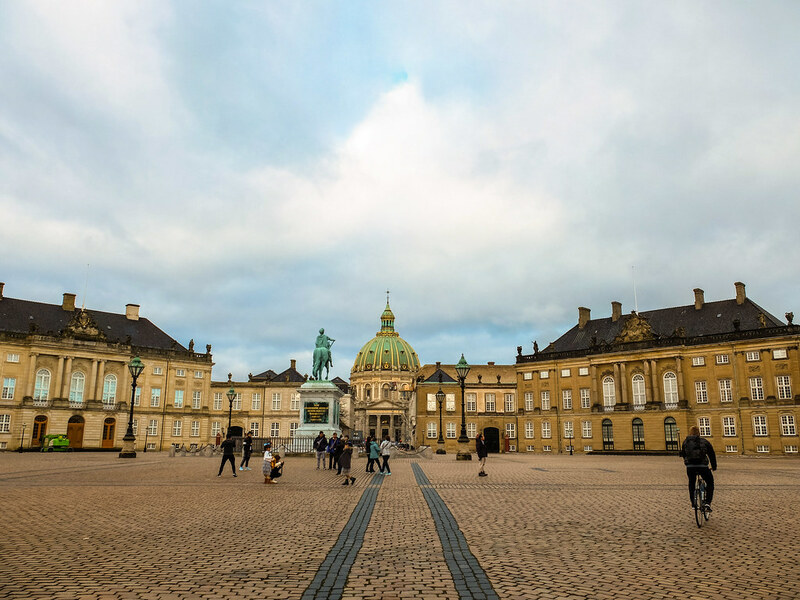 The four identical buildings arranged in a grid like formation surrounding the statue of King Frederik V in the middle and accompanying huge public space that is open to light traffic, be it a cyclist, a jogger, a small car is a fascinating sight of the classic and the new. 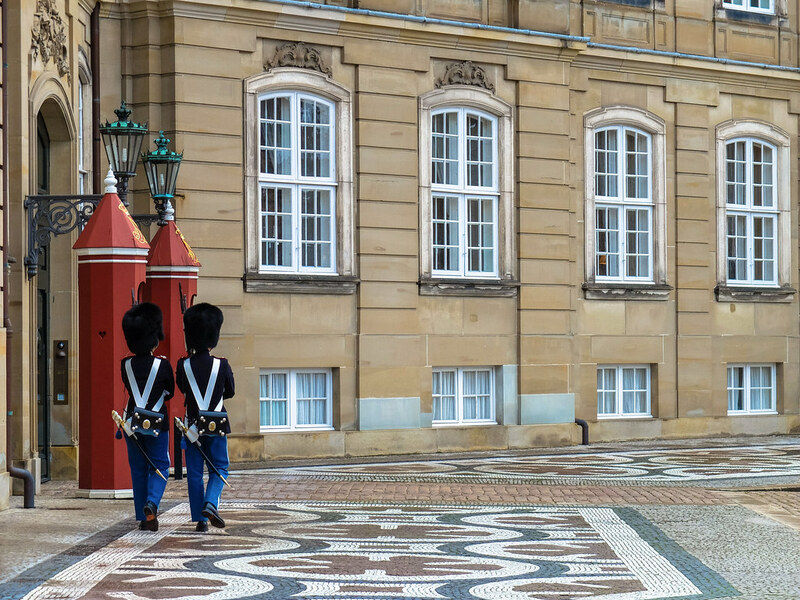 Though, the highlight of visiting Amalienborg is seeing the Royal Guards called Den Kongelige Livgarde , often in pairs, patrolling the palace square while every 12:00 noon, visitors can witness the Changing of the Royal Guards ceremony. 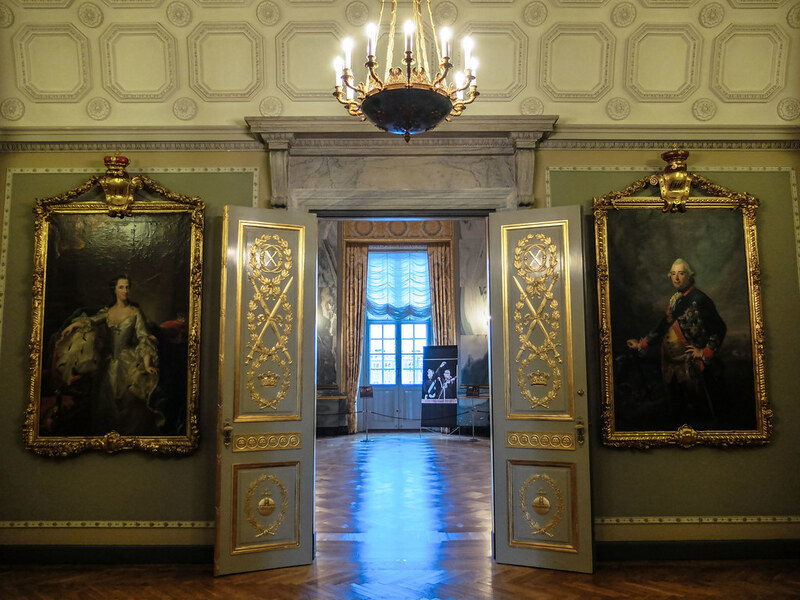 Smaller in size as compare to the other castles, the location inside Kongens Have or The King’s Garden is what makes the difference, I would say that the Rosenborg Castle is the fairest of them all. 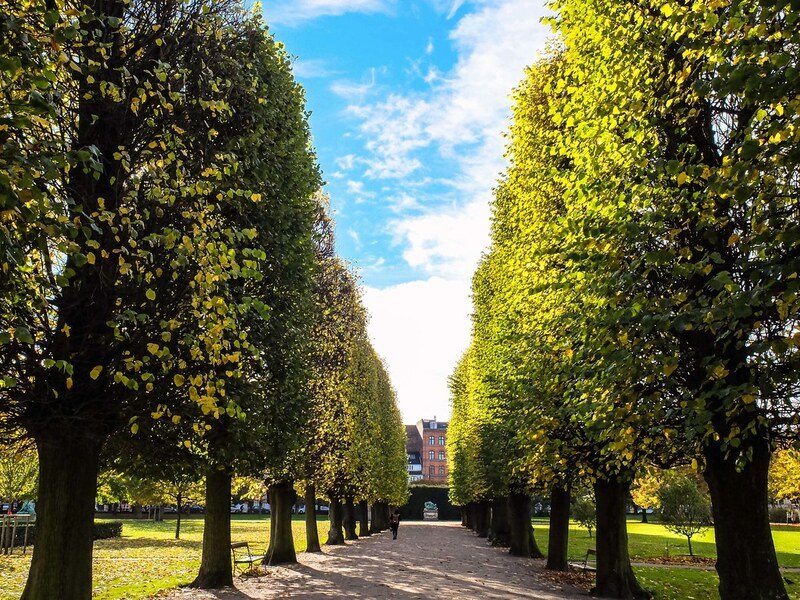 On a good day, when the sun shines the brightest and the tree leaves are turning golden, the image of the Rosenborg Castle is the one I will say closest to what a fictional castle is, not of Cinderella fairy tale type but perhaps more of a Harry Potter’ Hogwarts kind. 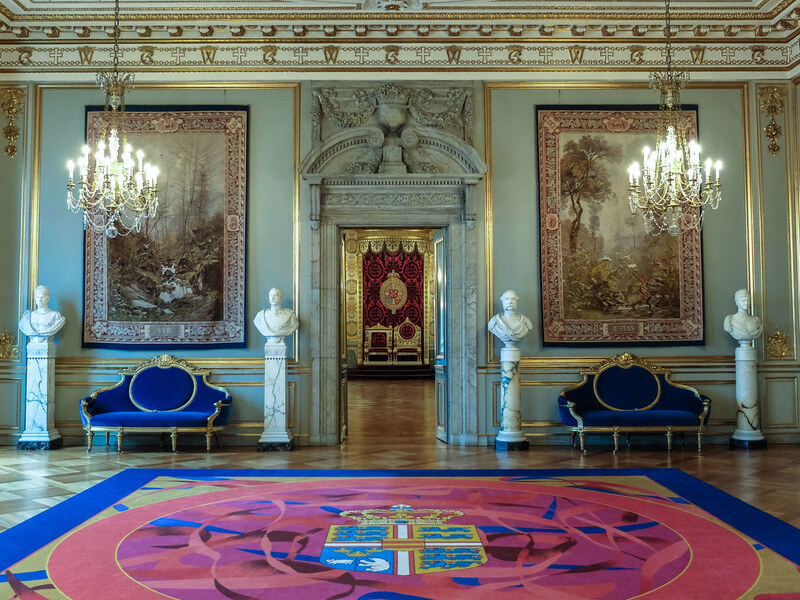 There is something magical, intriguing and just hypnotizing about this royal hermitage. 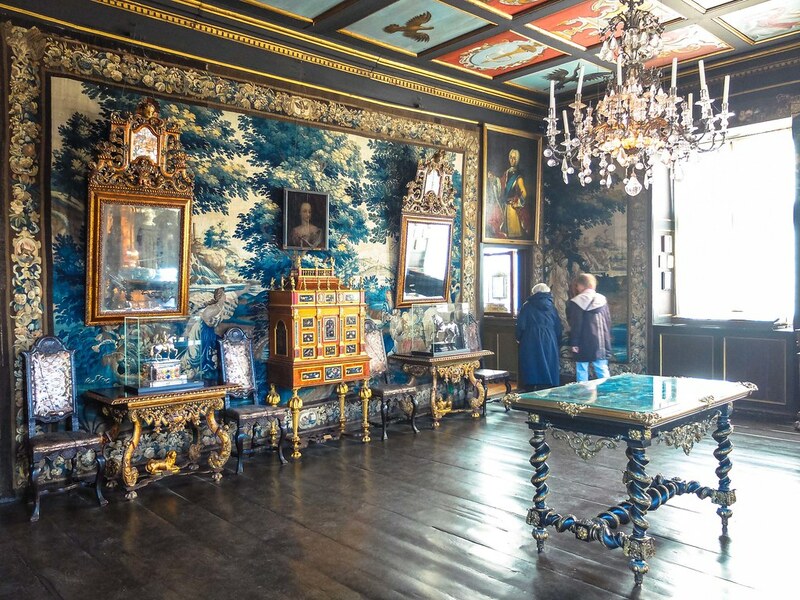 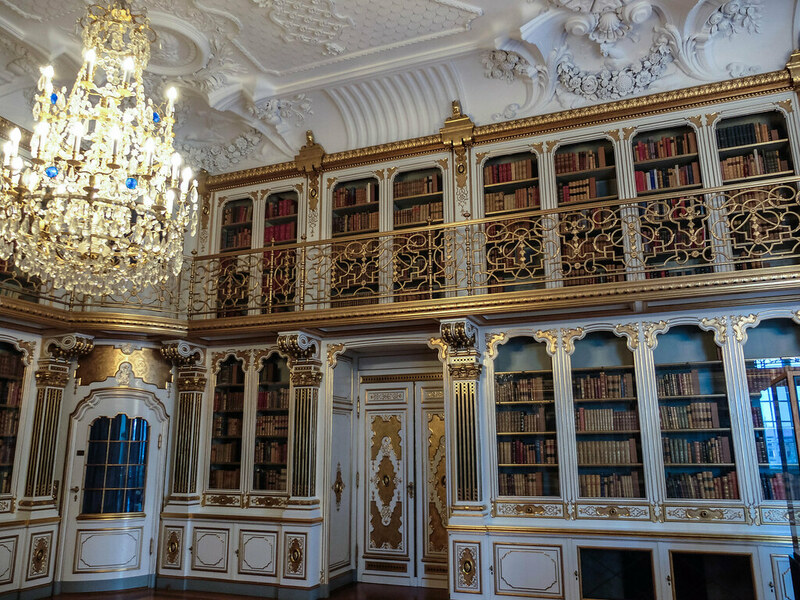 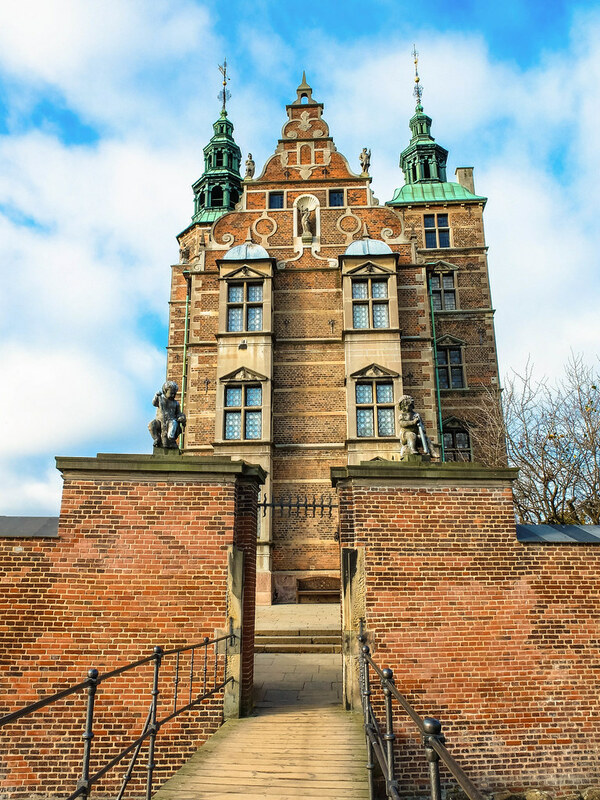 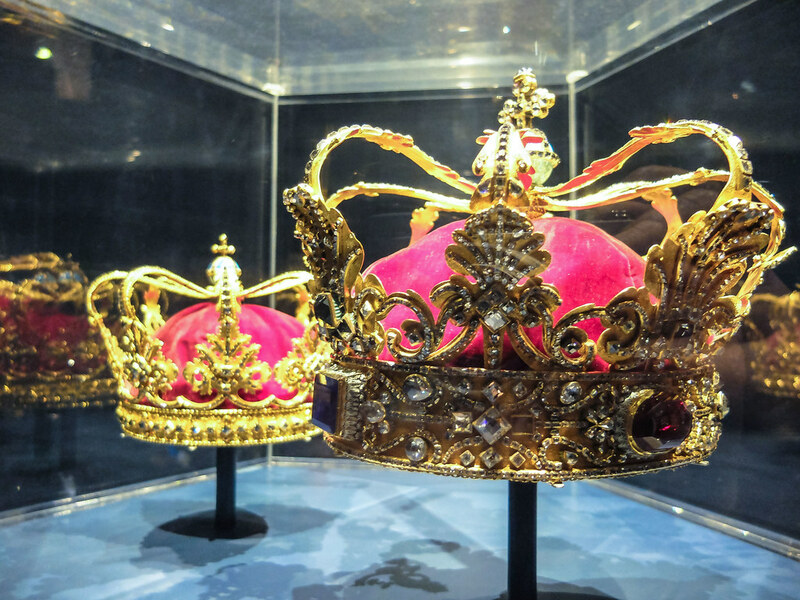 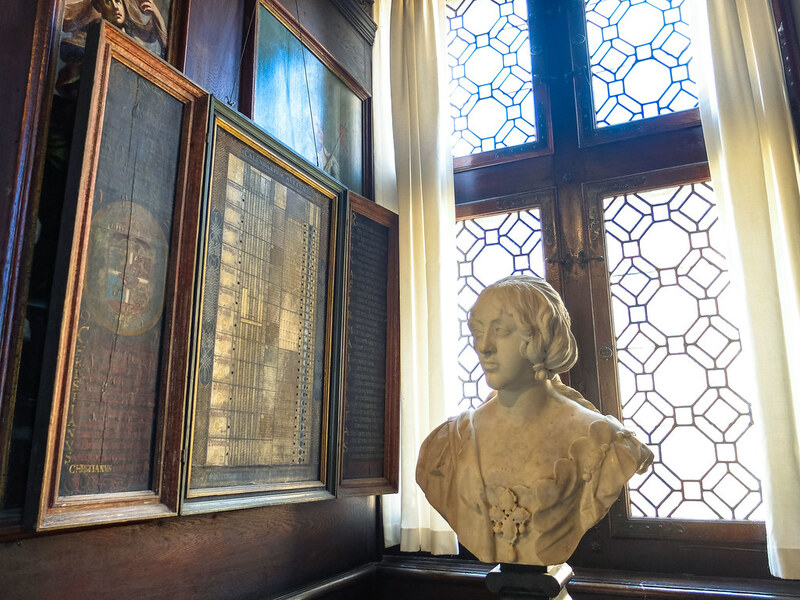 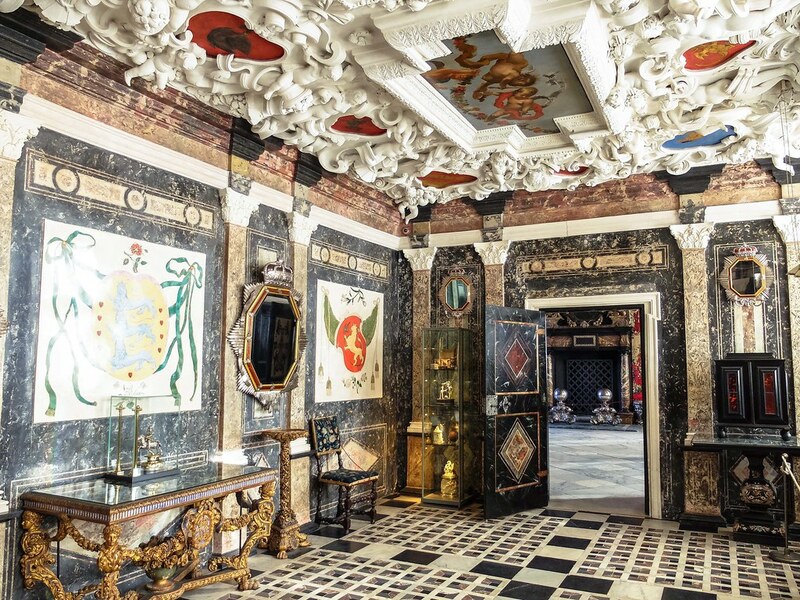 Built in the early 17th century by Scandinavian King Christian IV, inside the Rosenborg Castle are a self-guided tour will allow you to explore the century old interiors, collections of royal art treasures, and a glimpse of the jewelled Crown of the Danish kings and queens. 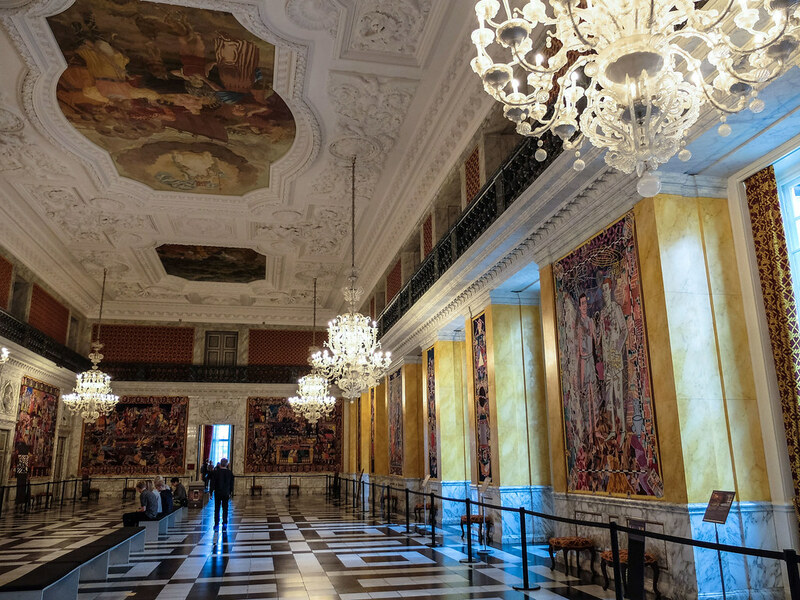 For its sheer size alone, I would suggest to allocate an ample time when visiting the Christiansborg Palace. 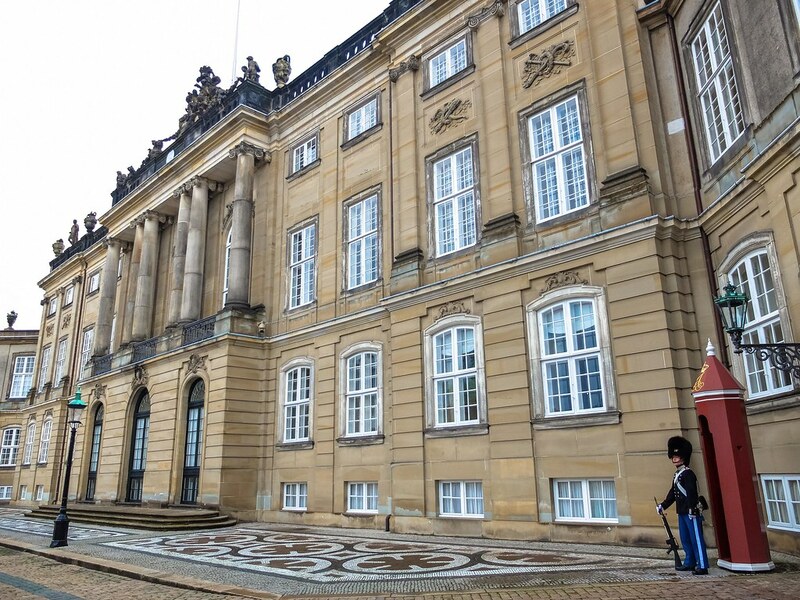 The Christiansborg Palace complex is the centre of Denmark government, this is where the Danish Parliament, the Supreme Court and the Ministry of State are currently located. 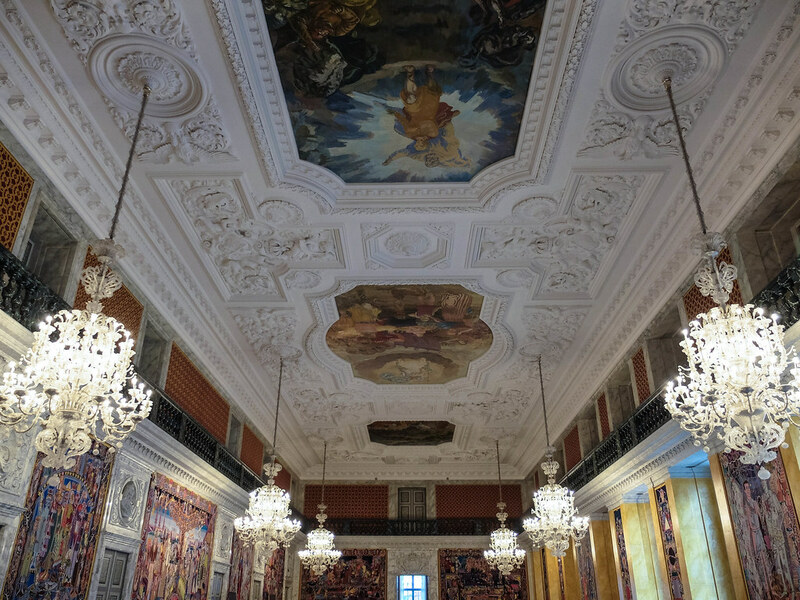 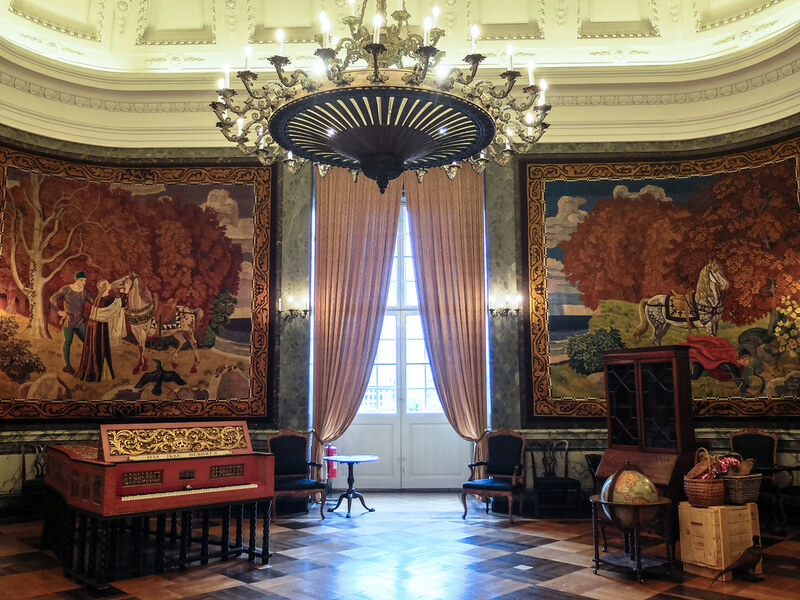 While parts of the palace are used for important state functions, like the Oval Throne Room at the Royal Reception Rooms , where foreign ambassadors are received by the Queen. 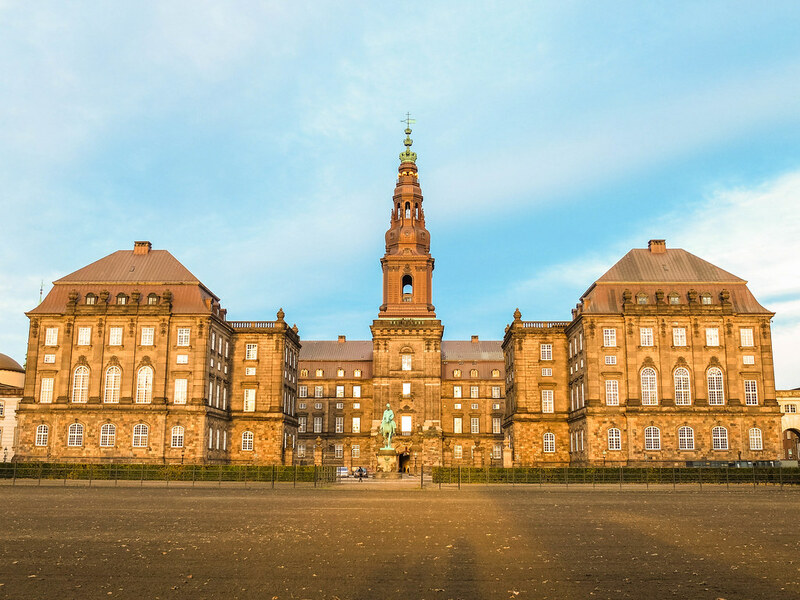 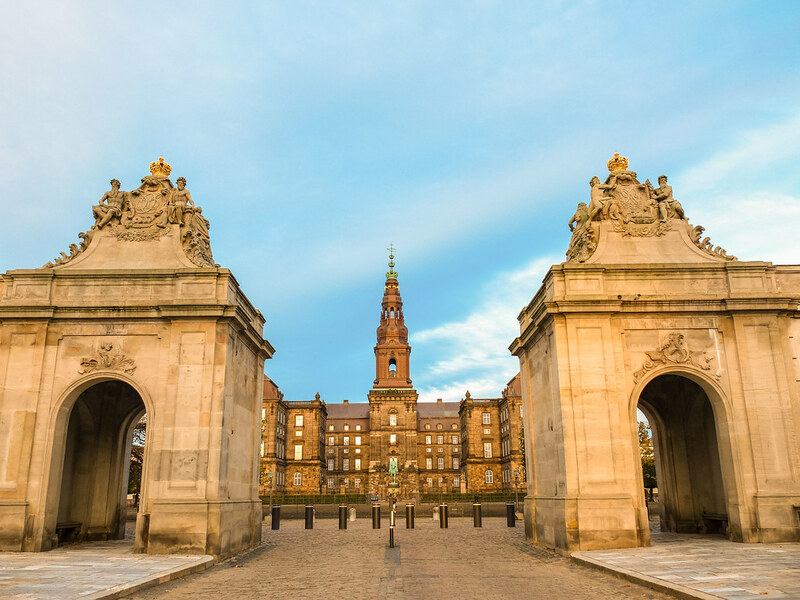 Begin the tour of Christiansborg by visiting the Ruins to understand the history of the palace, its transition from a medieval castle to the royal residence to the power base. 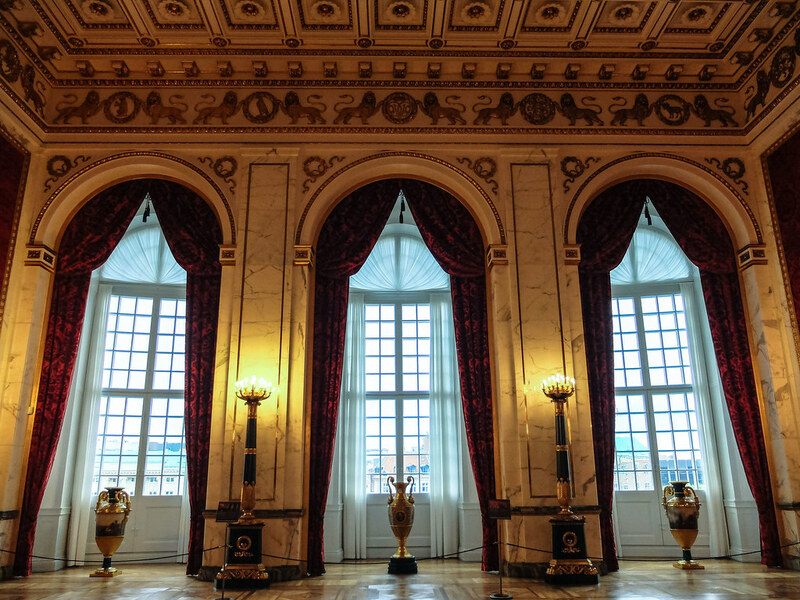 A quick tour of the Royal Kitchen is a fun way to see how the staff prepares for a royal banquet while the most visited Royal Reception Rooms, with its wide halls elegantly ornate and majestic rooms is the very definition of what royalty really is. 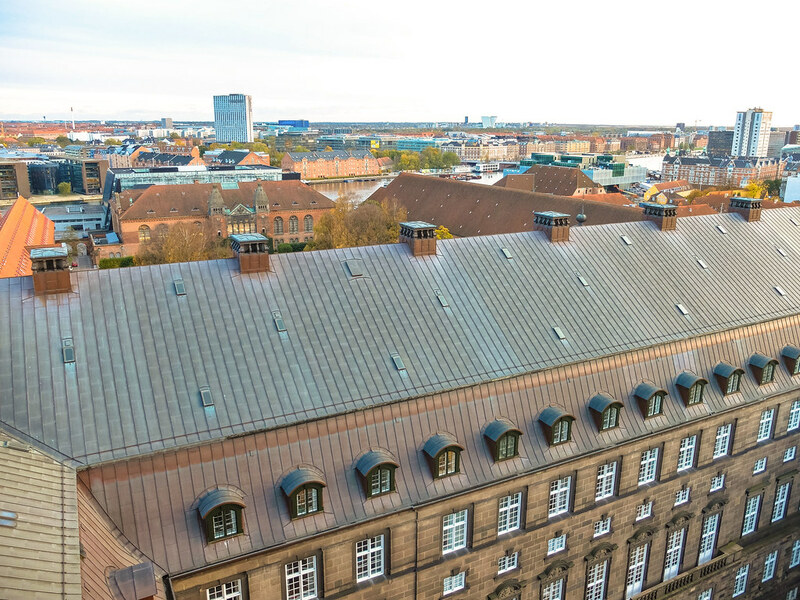 The best way to sum up a visit to Christiansborg Palace is to to head up 106m high on the city highest tower, for some panoramic view and a change in perspective. 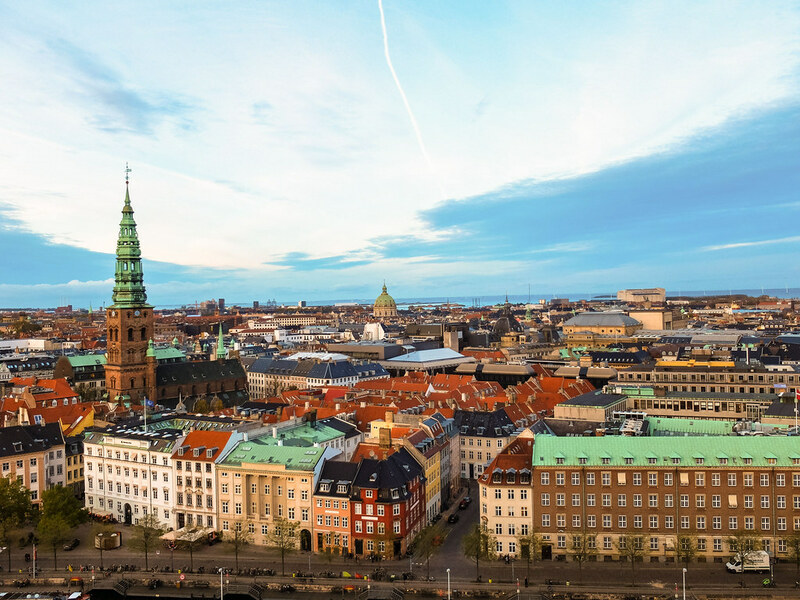 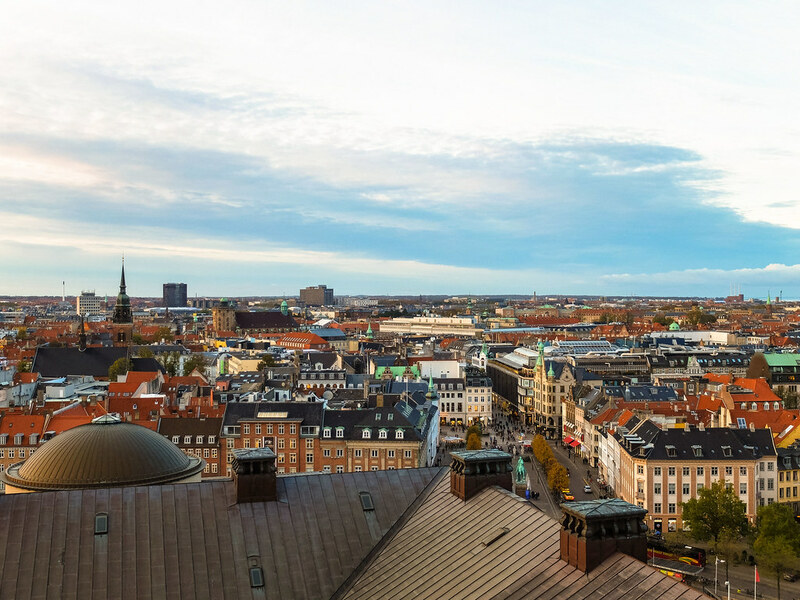 The Tarnet or the Christiansborg Palace Tower is a free of charge to all visitors, and if you can patiently wait in queue, you will be rewarded with one outstanding city view .